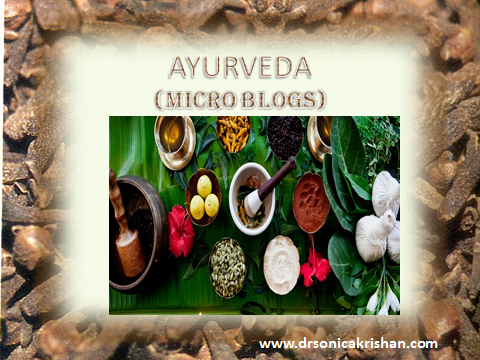 The most essential thing to have in Ayurveda cooking is the spices that not only enhance flavour, but aid in balancing doshas (Vata, Pitta and Kapha), removing impurities, igniting the digestive Agni and adding six essential tastes ( Madhur, Amal, Lavana, Tikta, Katu and Kshaya) to the meal making it aromatic and delicious. As per Ayurveda, the best way to cook vegetables is to sauté them in ghee with spices, so that the oil of spices is drawn into the ghee and the therapeutic spices become the carriers, transferring nutrition into our bloodstream. 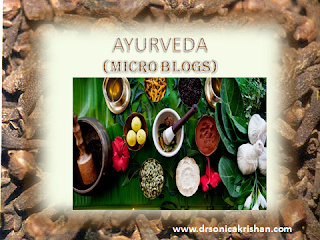 Four essential spices of Ayurveda are turmeric – an antioxidant (watch video) , anti-inflammatory immune modulator, while cumin & coriander aid digestion & assimilation and fennel balances the system.